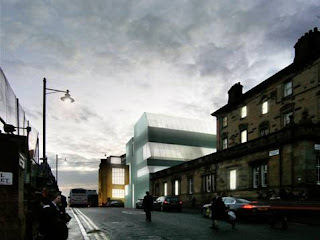 Glasgow, 17 September 2010 - The plans for Phase 1 of The Glasgow School of Art re-development were released today. 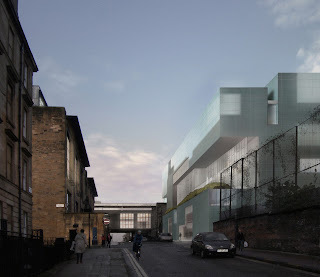 Designed by Steven Holl Architects in partnership with JM Architects (Glasgow) and Arup Engineering, the new building will replace the Foulis Building and Newbery Tower on Renfrew Street opposite the Mackintosh building and significantly refurbish the Assembly Building which houses the Students’ Union. Steven Holl Architects was appointed last September following an international competition to design a new building for the Art School which would enhance significantly the teaching, learning and research facilities available to GSA students and staff as well as providing access to new publicly accessible spaces including exhibition galleries and the Windows on the Mack interpretation area for the Mackintosh Building. Inspired by Mackintosh’s inventive manipulation of his 1909 Art School building’s plan and section to introduce and deploy light in a tremendous variety of inspiring and successful ways, the new design complements its neighbour, but moves forward using a new language of light. With well proportioned studio and workshop spaces at the core of teaching and making art, these spaces are arranged in plan and section with natural side and top light for inspiring work environments, supplemented with ‘driven voids of light’ that penetrate the building’s core and deliver natural light through its depth; providing direct connectivity with the outside world through the changing intensity and color of the sky. The design provides much needed studios and centralized workshop facilities, the Center for Advanced Textiles, new digital media spaces, a lecture theatre and seminar rooms, exhibition space, a refectory for staff and students and a range of informal learning areas. The interpretation centre for the Mackintosh Building, phase 4 of the Mackintosh Conservation and Access Project is also on the site. 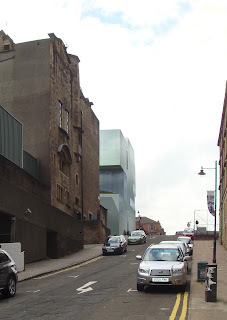 Steven Holl said, "The site opposite the Mackintosh Building calls for a unique, inspiring and stimulating twenty-first century architecture with a great sensitivity to light, detail, and material. The new Glasgow School of Art Building will provide contemplative space for individual creativity and thought, and spaces of collective interaction for students, staff and the Garnethill community." The design began with the Studio space - the core of teaching and making art. 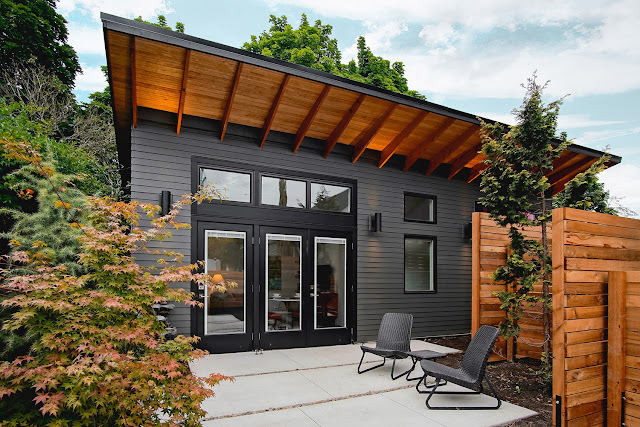 Wellproportioned studio and workshop volumes are arranged in plan and section with ideal top and side light. They are adaptable with potential for individual studios to open into larger groups, and arranged with functionally adjacent support spaces in rhythm with the studio/workshop volumes. They are illuminated with north light, with shafts of warm south, east or west light. 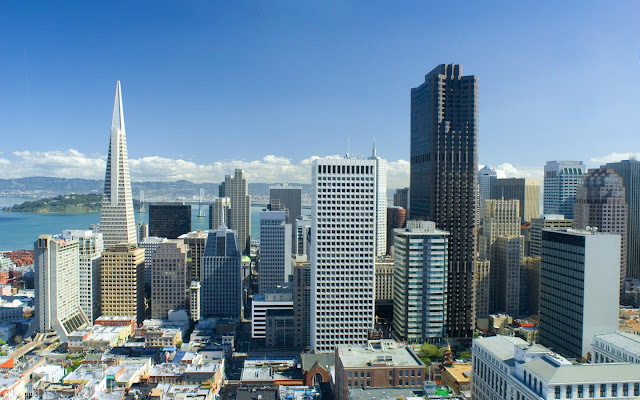 Studios are generally positioned on the north façade provided with large inclined north facing glazing to maximize access to the desirable high quality diffuse north light throughout the academic year. Spaces that do not have a requirement for the same quality of natural light, are located on the South façade (opposite the Mackintosh building) where access to sunlight can be balanced with the occupants; needs and the thermal performance of the space through application of shading or informed shaping of openings. Centralized facilities for the GSA campus, including exhibition spaces, seminar spaces, digital media and the “Window on the Mackintosh” centre are located on the ground floor in a carefully considered balance that forges an identity as an academic building, for the school and students, but that also invites the public inside. Located one level below, a 300-seat lecture theatre has direct access to the lobby as well as the centralized workshop and associated assembly spaces. Immediately above the ground floor are the school directorate and administrative offices (on the south) whilst studio space occupies the entire north side at this level and moving up through the building. The new GSA refectory is located on level 2 above the offices, bringing the entire school up and into the building on a daily basis. Along the South elevation, at the same height as the Mackintosh main studios, there is a landscape loggia in the form of a Machair that gives the school an exterior social core open to the city. Natural vegetation with some stonework routes water into a small recycling water pond which will also reflect dappled sunlight onto the ceiling inside. Meanwhile inside the ‘Driven Void’ light shafts deliver natural light through the depth of the building providing direct connectivity with the outside world through the changing intensity and colour of the sky. The exterior of the building will be coated in a thin skin of matte glass referencing Mackintosh’s stone skin on the 1909 building. 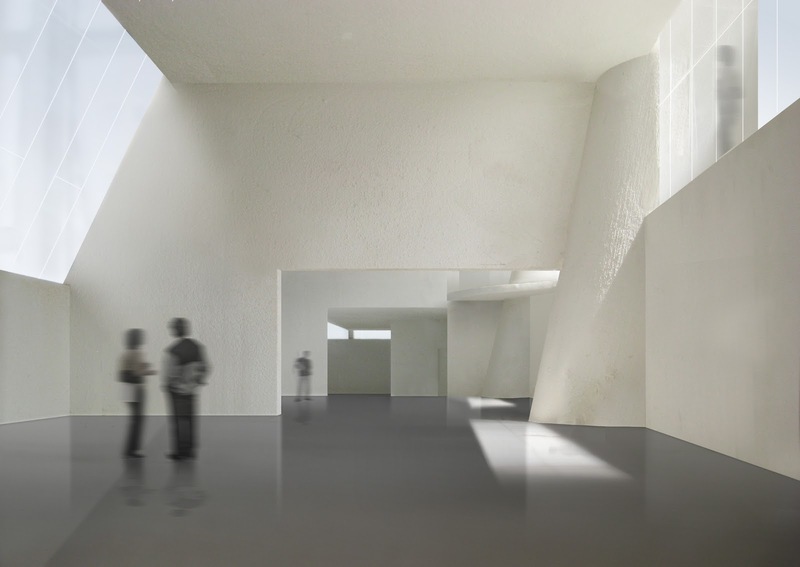 The material, used by Steven Holl Architects on the Vanke Center in Shenzen, China, will soften the light on the Mackintosh building ensuring the studios continue to benefit from the quality of light as envisaged by the designer. Steven Holl Architects has realized cultural, civic, academic and residential projects both in the United States and internationally. 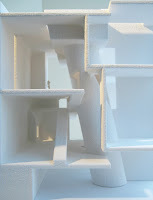 Steven Holl Architects (SHA) is a 48 person architecture and urban design office founded in 1976, and working globally as one office from two locations; New York City and Beijing. 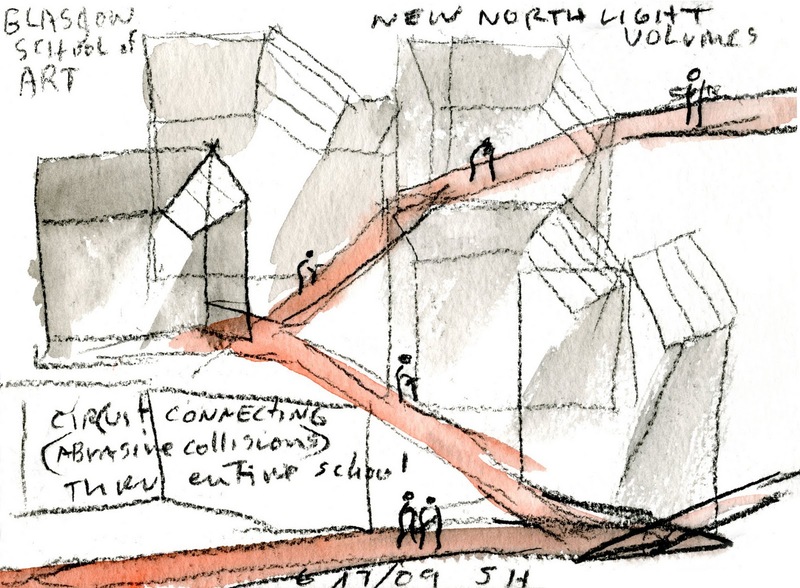 Steven Holl leads the office with partners Chris McVoy (New York) and Li Hu (Beijing). Most recently completed is the Linked Hybrid mixed-use complex (Beijing, China), recently named 2009 Best Tall Building Overall by the Council on Tall Buildings and Urban Habitat (CTBUH); the Knut Hamsun Center (Hamarøy, Norway), the Herning Museum of Contemporary Art (Herning, Denmark); and the Horizontal Skyscraper-Vanke Center (Shenzhen, China). Currently in construction are the Nanjing Museum of Art and Architecture (Nanjing, China), Beirut Marina (Beirut, Lebanon), Cité de l’Océan et du Surf with Solange Fabião (Biarritz, France), the Daeyang House and Gallery (Seoul, Korea); and the large mixed-use complex in Chengdu, China: the Sliced Porosity Block. 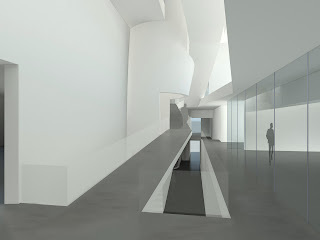 In 2007, Steven Holl Architects opened the highly lauded Nelson Atkins Museum of Art (Kansas City, Missouri). 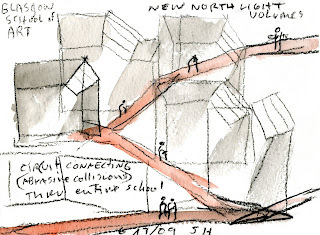 Steven Holl is a tenured Professor at Columbia University's Graduate School of Architecture and Planning. Boy, he REALLY never learned to draw/paint. I believe his sketches are quick watercolors he does while drinking tea in the morning. 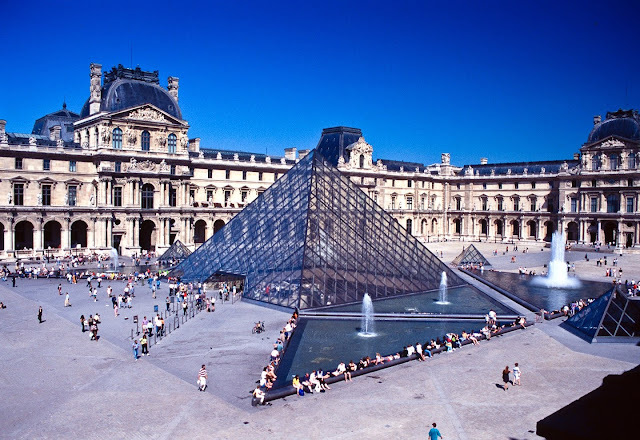 More like quick snapshots of ideas rather than fully developed paintings.